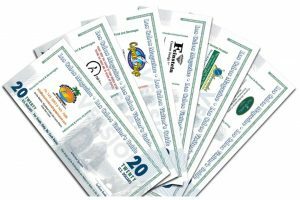 Cabo San Lucas and San Jose del Cabo, Los Cabos, Baja California Sur, México. 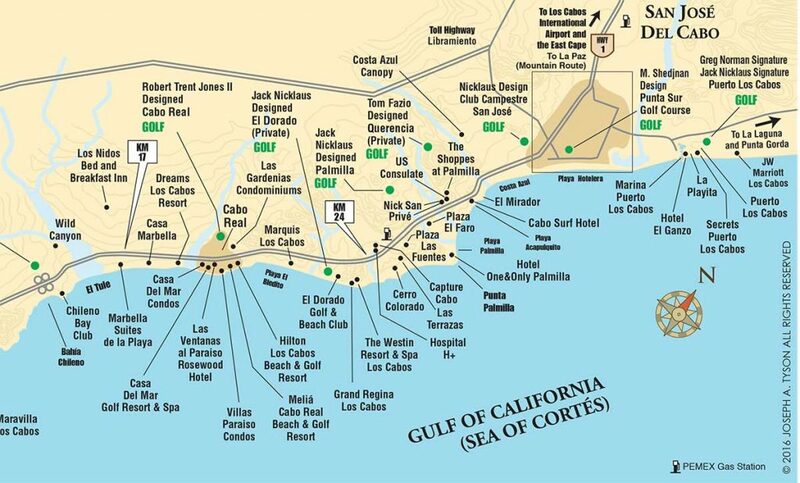 Our Los Cabos Tourist Corridor Map shows the 20-mile stretch that connects Cabo San Lucas and San Jose del Cabo that is home to some of the best beaches and most luxurious resorts in all of Los Cabos. 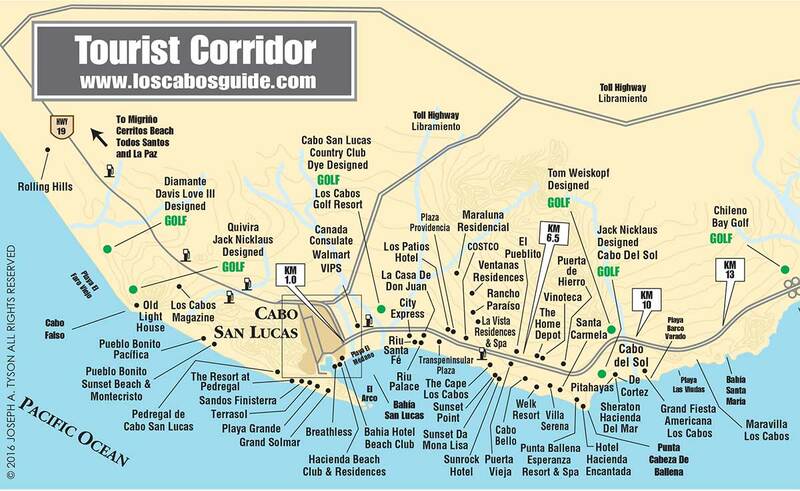 Turn to Los Cabos Guide for detailed information about the region’s beaches, resorts, gas stations, and more. The upper file is complete. The file below is in two parts.